And now I've made a mess... Lens restoration kit? So the laminex would not peel off? sorry, I should reiterate, I got the film off, but the adhesive won't come off with goo-gone and adhesive remover. It was pretty easy to peel the film off under the sun. Ah, did you try calling Laminex? Some say to try WD40, let it sit for a few minutes but you may want to try it on a non visible area to make sure it does not react with the plastic. Try denatured alcohol, or naptha, or a paint thinner. Those work great for taking off sticky residue. But be careful with the paint because they are great at taking off paint too! I suggest taking the lenses off and trying one of those, just put some on a rag and rub vigorously. You should notice results almost immediately. 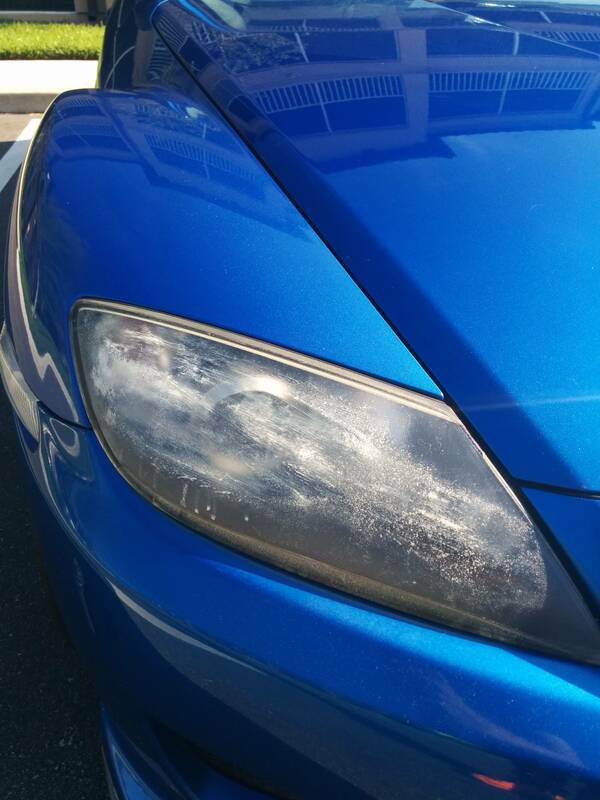 If u dont get it off u can sand and polish the headlights ... i did that too and it worked out very well.